The most frequently asked question we receive is about our minimalist wardrobe. It seems everyone wants to know where The Minimalists get their T-shirts. And we’ve always kept it a secret—until now. 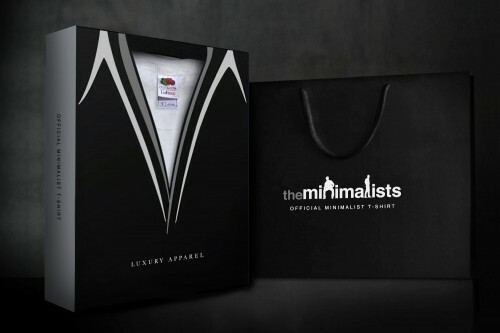 Today we’re introducing the official minimalist T-shirt, an iconic masterpiece with clean lines and a classic crew neck, available for men and women in black or white (the only true minimalist colors). Each internationally sourced, 100% combed-cotton tee is woven by hand by a small group of enthusiastic young shirtmakers in the Longhua Town area of Shenzhen, China. After the final stitch is in place, the finished garment is packaged in an individually numbered, velvet-lined box and shipped to your door, ready to wear. With its precision, its unabashed attention to detail, and its timeless design, this artisanal tee will replace every shirt in your wardrobe. 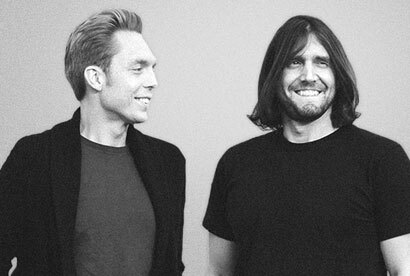 This is the only T-shirt recommended by The Minimalists—because it’s the only shirt we wear. Note: nearly 2% of all profits go to charity. 4/2 UPDATE: April Fool’s! Read our essay about this gag here.